Stephen Tagliatela (left) innkeeper/managing partner of the Saybrook Point Inn & Spa in Old Saybrook, Conn., is shown with John S. Johnson, treasurer of the National Coast Guard Museum Association. 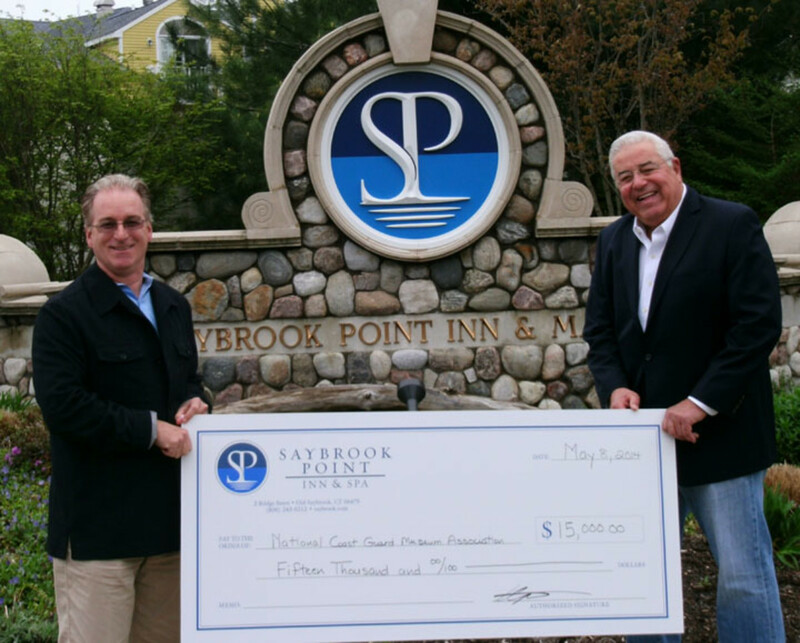 Saybrook Point Inn & Spa recently donated $15,000 as a corporate sponsor of the National Coast Guard Museum to be built in New London, Conn. The donation will support the building of the only national museum honoring the achievements of Coast Guard men and women. Through the donation, the hotel in Old Saybrook, Conn., will receive a limited-edition painting of the Coast Guard Barque Eagle, created on archival paper by famed Coast Guard artist Tony Falcone of Prospect, Conn. Titled “Leading The Way,” the fine-art giclee reproduction was created by Falcone while sailing aboard the Eagle in 2013. The museum association is engaged in a nationwide fundraising campaign. The public is invited to participate by donating to the Barque Eagle Society. Through minimum donations of $1,000, $5,000 or a three-year commitment of $15,000, donors will become members of the society.